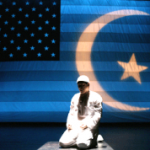 IN THIS ISSUE: Preserving Freedom – The Constitution or Sharia Conference is a great success. Nearly 500 attend daytime session and over 1,000 at evening session. Conference truly international with speakers from Lebanon, Syria, Australia and the U.K. Sharia compliance by major corporations and our government exposed. According to William J. Murray, chairman of the Sharia Awareness Action Network (www.shariafreeusa.com), the conference organizer, yesterday, registrations passed 350. Between the day and evening sessions, close to 500 are expected to attend. When the venue was the Hutton Hotel, which breached its contract with the conference, fewer than 200 were expected.